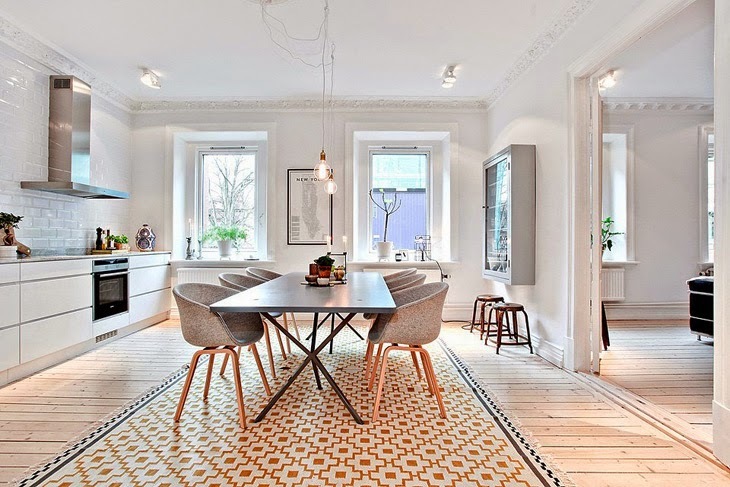 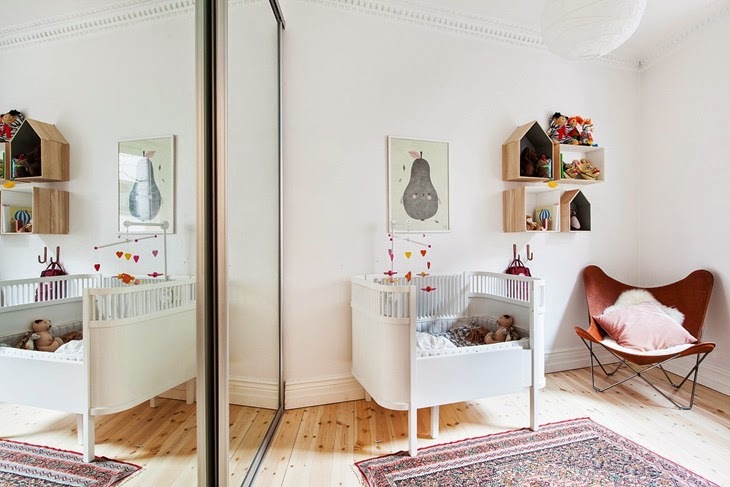 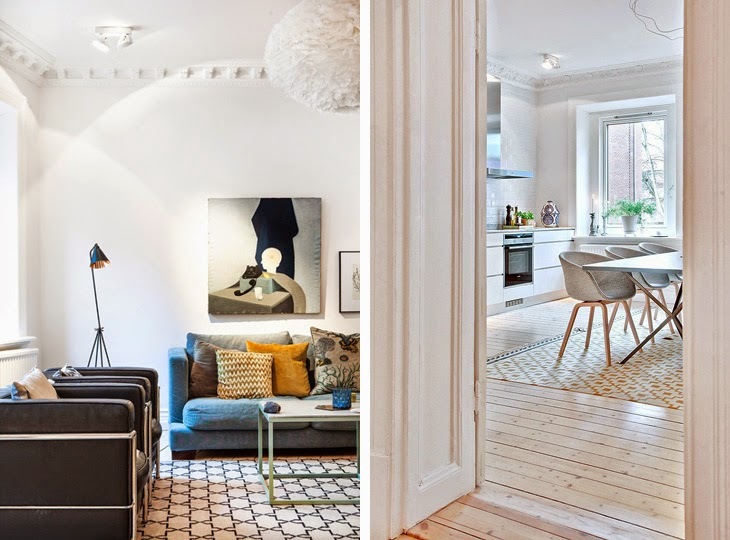 This amazing Scandinavian apartment in Göteborg combines the old and the new. 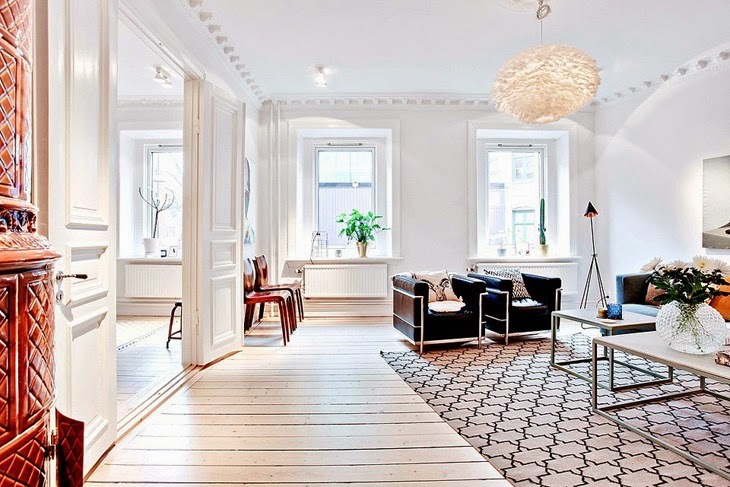 The flat is located in a building from 1897 and has the typical high ceilings. 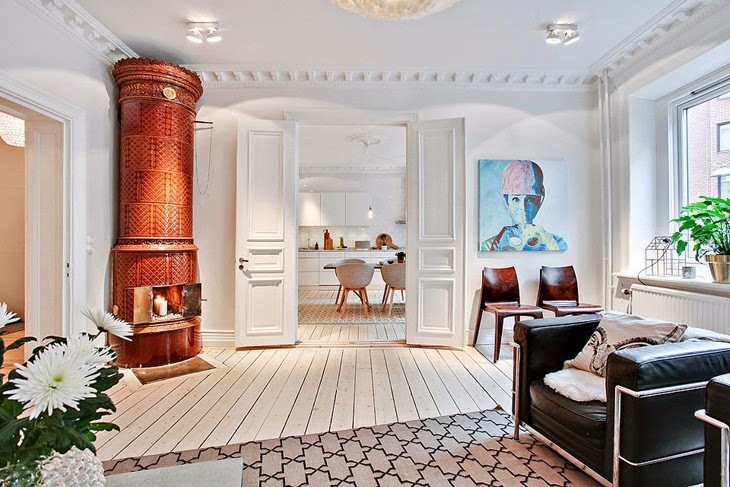 A huge fireplace dominates the living room. 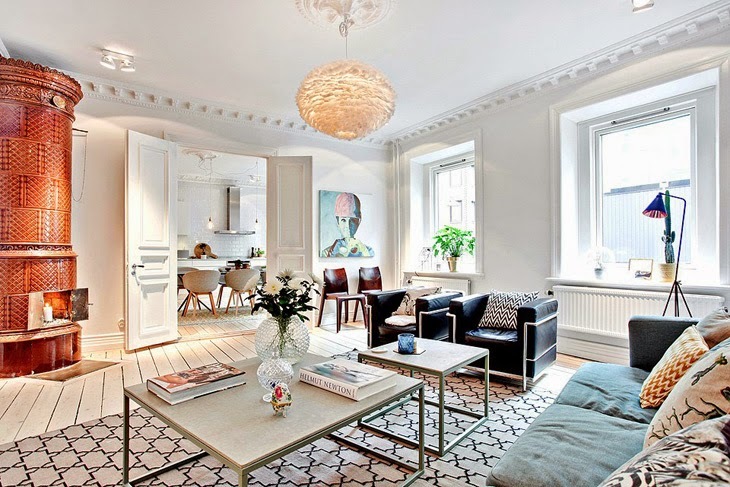 As for furniture, it includes several famous design pieces, making the space chic and modern.